What happened to the bulldogs in the media? When it came to covering the Benghazi terrorist attack, the media sounded like a pack of Chihuahuas. The media is the last guardian of free speech in America. If the media becomes a megaphone for politicians, then there is no point to the media at all. We can’t expect politicians to behave themselves if reporters don’t hold politicians accountable. If the Benghazi coverage taught us anything, it’s that journalists need to be more aggressive, more inquisitive and more driven to get to the facts in stories. After the September 11, 2012 terrorist attack on the U.S. consulate and CIA annex in Benghazi, Libya that killed four Americans including U.S. Ambassador Chris Stevens, very few American journalists have been willing to be bullish on Benghazi and get to the truth of the story. As I have pointed out before, there is ample evidence pointing to a massive Benghazigate cover up orchestrated by President Obama as well as potential perjury by former Secretary of State Hillary Clinton. Last week, Esquire Magazine published a long piece ridiculing one of the few journalists who has prioritized truth over politics while covering the Benghazi story, namely CBS investigative journalist Sharyl Attkisson. Shame on Esquire. Attkisson is one of the last-standing heroes in media; she is driven by the truth and nothing else. Truth is not political. Sharyl Attkisson is not “betraying liberals” by joining FOX News in devoting extensive coverage to the Benghazi story. She is simply speaking the truth and helping others see the truth. She is honoring the four Americans who died in a terrorist attack that our President irresponsibly blamed on a YouTube video. During last Wednesday’s explosive Congressional hearing with three Benghazi whistleblowers—and for the past several months leading up to the hearing—Attkisson has been blowing her own whistle on Benghazi. On her Twitter feed (@SharylAttkisson), she has continually updated the public with facts about Benghazi. While other reporters were keeping mum, Attkisson was telling Americans that the report indicates that both Obama’s White House and State Department literally changed their talking points in order to cover for Clinton. 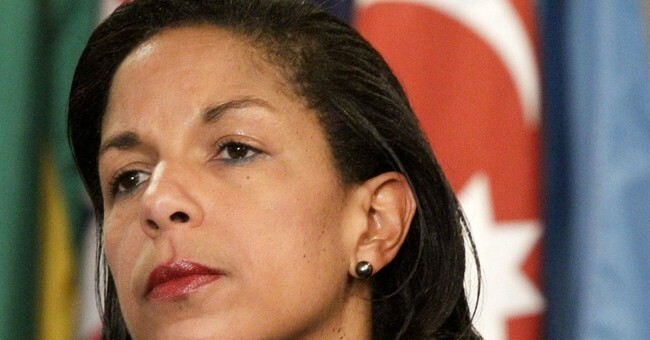 She tweeted that the Obama administration scrubbed their Benghazi talking points: “…. to remove references to likely participation of Islamic extremists in attacks, references to threat of extremists linked to al Qaeda…,” according to the report. Last Wednesday, Attkisson also boldly live-tweeted during the testimony from the three whistleblowers who testified before the House Committee on Oversight and Government Reform. The whistleblowers, Eric Nordstrom, Greg Hicks and Mark Thompson, were senior government officials who simply shared their first-hand accounts of what occurred on the ground in Libya during the attack. Attkisson covered the hearing in a fair manner because she understands what should be obvious to all journalists: These men did not put their careers on the line and testify under oath because they were Republican cheerleaders. They testified because they witnessed and lived through the attack and because they deeply care about the truth. In the Sunday, May 5 edition of the New York Times, I read story after story about Syria and Afghanistan but virtually nothing about Benghazi. Everyone knew that three eyewitnesses would be testifying on Wednesday, May 10, 2013. So, it would seem appropriate to dedicate substantial space in the Sunday edition to Benghazi and the whistleblowers. Other than FOX News and C-SPAN, CBS did a good job of covering the Benghazi hearing in a fair manner in advance of the trial. CBS News Host Bob Schieffer held a fantastic interview on Sunday, May 5 with Rep. Darrel Issa (R-CA) and Rep. Dutch Ruppersberger (D-MD) where Issa had a chance to voice many of the facts surrounding the Benghazi terrorist attack and apparent cover up by the Obama administration. The only reason Obama is strolling through the Rose Garden, golfing with Tiger Woods and cracking jokes about Jay-Z is because the media is not holding him accountable. Obama and Clinton were behind a gun-running program that backfired and likely armed the Libyan rebels who stormed the consulate and CIA annex in Benghazi. Meanwhile, the maker of the You Tube film “Innocence of Muslims” that Obama initially blamed for the Benghazi attacks (even though everyone knew it was terror) is serving prison time for a parole violation. Unless American journalists decide to hold Obama accountable and act more like bulldogs and less like Chihuahuas, free speech will go to hell in a hand basket.